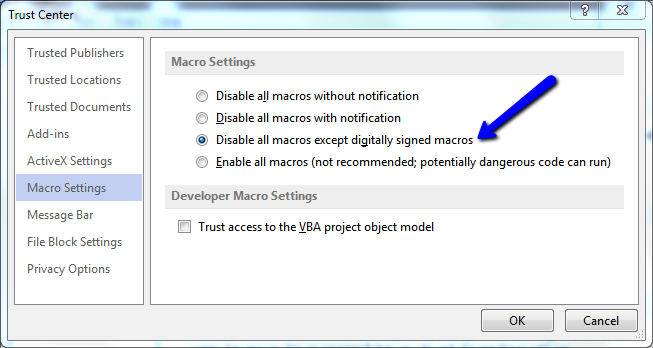 VBA macros must be Enabled to run eVSM. Follow these steps for the recommended settings. Click "File > Options > Trust Center > Trust Center Settings..."
Select the Macro Setting shown below. Exit Visio and then start eVSM.